Their concept? serve traditional and simple family recipes in a cute space. The menu (quite big) includes pastry, bakery and read-to-eat fresh options like salads and paninis. According to Lufa Farms, Mamie is one of the best bakeries in Montreal. 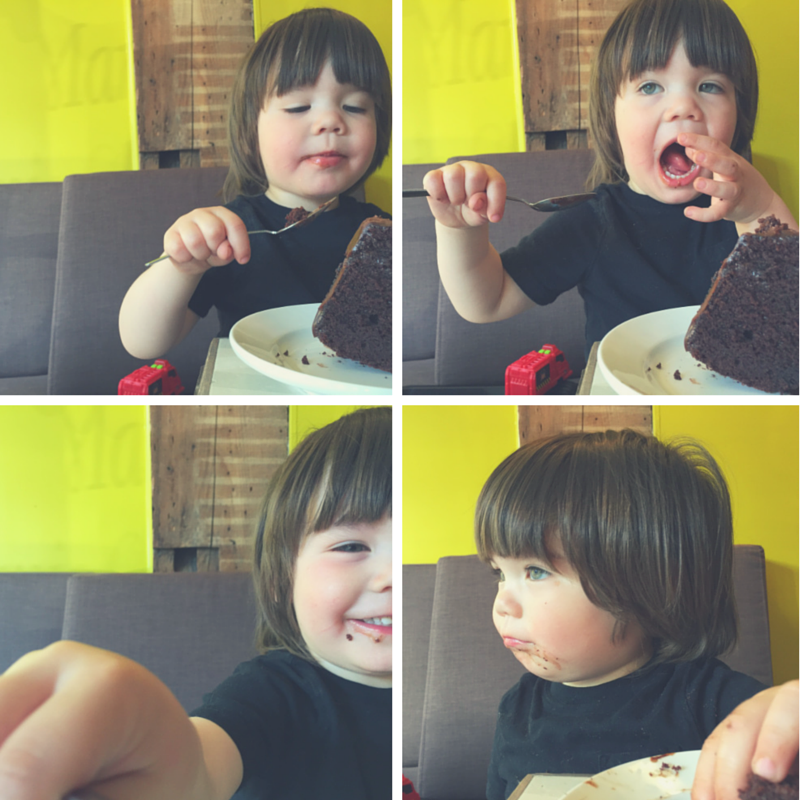 We had (well, actually Nico had) their famous Grandma's chocolate cake and guys, I swear that it tasted like heaven. I had my #fatmind in active mode ON and I wanted to have everything that day. The decor was so bright and beautiful with a mix of an artisanal parisian bakery air and the hip touch of Little Burgundy. Kudos to the selection of Lambert & Fils lamps and their flashy green walls. I have to come back to try their famous pistachio and almond croissants because you know, YOLO. He's still dreaming about this cake guys, I'm serious about this. Reservations: Noup, it's a casual and cute little spot.